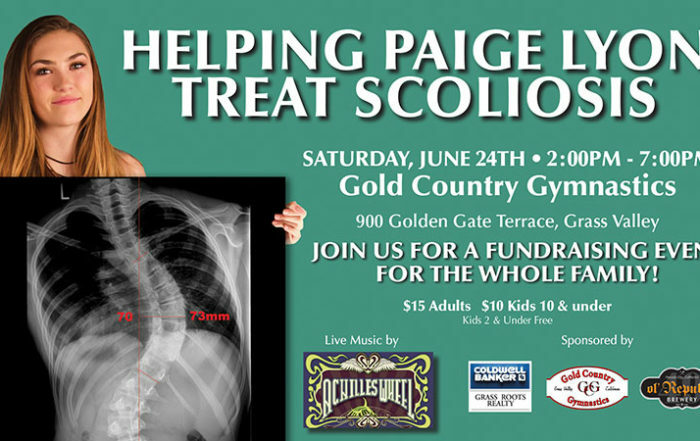 We invite you to follow Paige through her journey and treatment of severe scoliosis. Two years ago Paige was diagnosed with scoliosis. At first, her curve was a moderate 32 degrees. She wore a brace for 18-23 hours per day. Unfortunately, her curve continued to progress and it is now over 70 degrees. Her spine has twisted, causing a hump in her rib cage. This condition has affected her movement as well as her self-esteem and self-confidence. She battles with the daily physical, emotional and social struggles that come with scoliosis. Presently, her only remaining option is surgery. Specifically, Anterior Scoliosis Correction (ASC). 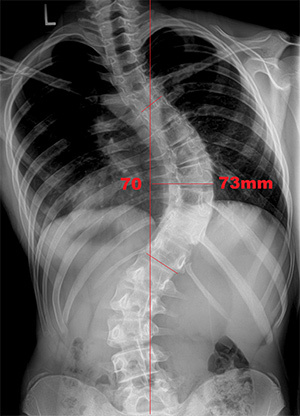 Because Paige has “severe scoliosis” there is only one group of surgeons, located in the New York/New Jersey area that will do the ASC procedure. They are Dr. Antanocci, Dr. Betz and Dr. Cuddihy, also known as Drs. ABC, at the Institute of Spine and Scoliosis. Paige flew out to New York/New Jersey and met with Drs. ABC. The doctors felt Paige would be a good candidate for the ASC procedure and are confident that they can help correct her curvature. Due to her age, they have recommended doing the surgery as soon as possible. This will stop the advancing curvature and allow her remaining growth to re-form her spine, rib cage and muscles. This is Paige’s only option due to her large curve and skeletal maturity. The doctors have recommended doing this surgery as soon as possible. Her remaining growth will help re-form her spine, rib cage and muscles. Dr. Antanocci and his team in New York/New Jersey are the only surgeons that can do this procedure. Unfortunately, Paige’s insurance will not pay for service outside of California. All expenses, including surgeons, hospital, anesthesiologist, radiologist, and hardware fees will be out of pocket. Due to Paige’s age, the doctors have HIGHLY recommended doing the surgery within 3 months. Paige is at the end of her growth. Her bones are still soft and malleable at this time so it’s critical that Paige gets this done. The surgery will stop the advancing curvature and allow her remaining growth to re-form her spine, rib cage and muscles. In addition, this will avoid any further developments and problems associated with scoliosis. Because Paige’s curvature is so large there is only one group of surgeons, located in the New York/New Jersey area that will do the Anterior Scoliosis Correction procedure her. They are Dr. Antanocci, Dr. Betz and Dr. Cuddihy, at the Institute of Spine and Scoliosis. This is Paige’s only option for this surgery. Unfortunately, Paige’s insurance will not pay for service outside of California and there are no doctors in California that will do the Anterior Scoliosis Correction procedure on Paige. Two years ago Paige was diagnosed with scoliosis. Her scoliosis progressed very rapidly. At first, her curve was minimal. As a precaution she was transferred to Shriner’s Hospital. Her curve quickly progressed to a moderate 32 degrees. She wore a brace for 18-23 hours per day for many months. Unfortunately, her curve continued to progress to over 70 degrees. Bracing wasn’t working. We flew Paige to Green Bay, Wisconsin to a physical therapy clinic, ScolioSmart, that specializes in scoliosis. The therapy helped stop the progression of her curve. But unfortunately, her scoliosis has twisted her spine, causing a hump in her rib cage. Surgery is now her only option to correct the scoliosis. Anterior Scoliosis Correction is far less invasive than the traditional spinal fusion surgery. With traditional spinal fusion, two rods are fused to the spine resulting in little to no mobility. Often, patients of spinal fusion undergo multiple surgeries throughout their lives. Anterior Scoliosis Correction is a less invasive surgery and rarely need additional surgeries. Titanium screws are placed in the vertebrae and a cord ( white polyethylene-terephthalate flexible cord) is attached to each screw. When tightened, it corrects and straightens the spine and allows full mobility. Dr. Antonacci is nationally renowned spine and scoliosis surgeon and has extensive surgical experience in adults and children, with particular specialization in scoliosis surgery. He’s made pioneering advancements in muscle-sparing spine surgery. Randal R. Betz, MD is a nationally recognized surgeon with over 30 years of experience in caring for children and adults with problems of the spine. Laury A. Cuddihy, M.D. is a fully trained spine surgeon, having completed her fellowship in spine surgery under Dr. Randal Betz and Dr. Antonacci at the prestigious Shriners Hospital for Children in Philadelphia,PA. With your generous donation, this surgery promises Paige a chance for better health and to fulfill her dreams.